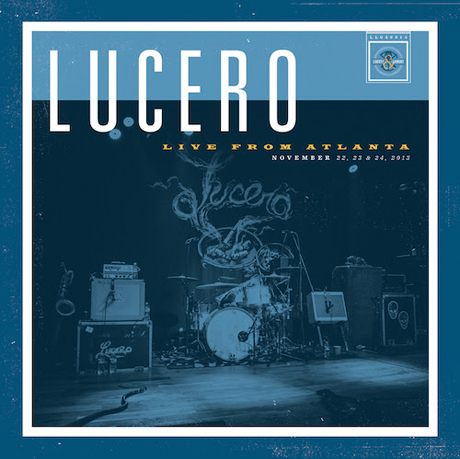 Memphis-based country-punk combo Lucero are set to celebrate their prolific output via the release of their very first concert effort, Live from Atlanta. The massive, back catalogue-scouring live album arrives as a four-LP set or a double-CD on August 12 via INgrooves. A press release notes that the album was recorded at Atlanta's Terminal West venue over the course of three nights, with a total of 32 tracks spread out over the release. Said to be marked with the group's patented "whiskey-fuelled audience singalongs," the set delivers over two hours' worth of concert recordings that offer different twists from their studio counterparts. "When you listen to 'Freebird,' you're not listening to the studio version. You want that 17-minute crazy one. That's the one you think to go to," guitarist Brian Venable said in a statement. "So we're hoping with this record, you'll finally get a version of [That Much Further West's] 'Tears Don't Matter Much' that you know." You can stream the live version of that particular track down below. The setlist contains tracks running from the band's self-released 2000 debut The Attic Tapes up to 2013's Texas & Tennessee. You can check out the full tracklisting for Live from Atlanta, along with some upcoming touring details, down below. 24. What Else Would You Have Me Be?